در این مقاله پایداری حرارتی پوسته های استوانه ای ساخته شده از مواد هدفمند تحت بستر الاستیک و نیروی محوری بررسی شده است. به این منظور ابتدا معادلات حاکم بر پوسته استوانه ای تحت بستر الاستیک مبتنی بر تئوری مرتبه اول برشی سندرز-کویتر با استفاده از اصل همیلتون استخراج شده اند. معادلات مشتق جزئی حاکم با استفاده از روش حل گالرکین به معادلات جبری معمولی تبدیل و بار کمانش حرارتی محاسبه می شود. خواص مواد هدفمند مطابق قانون توانی در جهت ضخامت تغییر می کند. بستر الاستیک مورد نظر از نوع دو پارامتری پسترناک بوده و شامل ترم های خطی وینکلر و برشی می شود. توزیع دما در طول ضخامت پوسته به سه صورت: تغییر دمای یکسان، توزیع خطی و غیرخطی در نظر گرفته شده است. برای حالت توزیع غیرخطی دما از دو روش حل تقریبی و دقیق استفاده شده و اثرات آنها بر دمای بحرانی پوسته بررسی شده اند. نشان داده شد که روش حل تقریبی نسبت به حل دقیق نتایج متفاوتی را حاصل می کند. دماهای بحرانی پوسته استوانه ای از جنس ماده همسانگرد تحت شرایط مرزی ساده و افزایش یکنواخت دما و توزیع خطی دما بدست آمده و با نتایج مراجع مقایسه شده اند. با تکیه بر تئوری توسعه داده شده، اثرات بستر الاستیک و نیروی محوری بر پایداری حرارتی پوسته از جنس ماده هدفمند بررسی می شوند. Thermal stability characteristics of functionally graded material (FGM) cylindrical shells surrounded by elastic medium under axial load are investigated in this paper. Firstly, governing equations based on the first-order shear deformation theory of Sanders-Koiter for the cylindrical shell resting on elastic foundation are derived by using Hamilton’s principle. The governing partial differential equations are converted to algebraic ones by using the Galerkin’s method and thermal buckling load is obtained. The material properties of functionally graded materials are assumed to be graded in the thickness direction according to the power law. The elastic medium is assumed as two-parameter Pasternak elastic foundation consist of Winkler and shear terms. Temperature distribution across the shell thickness is considered in three types: uniform temperature rise, linear and nonlinear temperature change. Two solution methods are used in case of nonlinear temperature distribution as approximate and exact analytical solutions and their effects on critical temperature of the shell are investigated. It is shown that approximate solution method yields different results with respect to exact analytical solution. Critical temperatures of isotropic cylindrical shell with simply supported boundary condition under uniform temperature rise and linear temperature distribution cases are obtained and compared with results in the literature. Based on the validated theory the effects of elastic foundation and axial load on thermal stability of FGM cylindrical shell are investigated. Shahsiah, R. and Eslami, M. R., “Thermal Buckling of Functionally Graded Cylindrical Shell“ Journal of Thermal Stresses, Vol. 26, pp. 277–294, 2003. Shahsiah, R. and Eslami, M., “Functionally Graded Cylindrical Shell Thermal Instability Based on Improved Donnell Equations“ AIAA journal, Vol. 41, No. 9, pp. 1819-1826, 2003. Mirzavand, B., Eslami, M. R. and Shahsiah, R., “Effect of Imperfections on Thermal Buckling of Functionally Graded Cylindrical Shells“ AIAA J., Vol. 43, No. 9, pp. 2073–2076, 2005. Mirzavand, B. and Eslami, M. R., “Thermal Buckling of Imperfect Functionally Graded Cylindrical Shells Based on the Wan–Donnell Model“ Journal of Thermal Stresses, Vol. 29, No. 1, pp. 37–55, 2006. Mirzavand, B. and Eslami, M., “Thermal Buckling of Simply Supported Piezoelectric Fgm Cylindrical Shells“ Journal of Thermal Stresses, Vol. 30, No. 11, pp. 1117-1135, 2007. Yaghoobi, H., Fereidoon, A. and Shahsiah, R., “Thermal Buckling of Axially Functionally Graded Thin Cylindrical Shell“ Journal of Thermal Stresses, Vol. 34, No. 12, pp. 1250-1270, 2011. Sun, J., Xu, X. and Lim, C., “Accurate Symplectic Space Solutions for Thermal Buckling of Functionally Graded Cylindrical Shells“ Composites Part B: Engineering, Vol. 55, pp. 208-214, 2013. Ovesy, H. R., Ghannadpour, S. A. M. and Nassirnia, M., “Post-Buckling Analysis of Rectangular Plates Comprising Functionally Graded Strips in Thermal Environments“ Computers and Structures, Vol. 147, pp. 209–215, 2015. Arefi, M. and Rahimi, G., “The Effect of Nonhomogeneity and End Supports on the Thermo Elastic Behavior of a Clamped–Clamped Fg Cylinder under Mechanical and Thermal Loads“ International Journal of Pressure Vessels and Piping, Vol. 96, pp. 30-37, 2012. Hadi, A., Shakhesi, S., Ovesy, H. R. and Fazilati, J., “Free Vibration of Fgm Cylindrical Shells on Elastic Foundation under Axial Force, Lateral Pressure and Different Boundary Conditions“, in Persian. 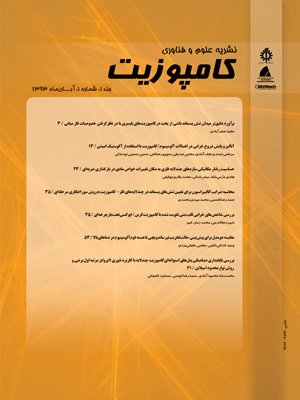 Amirkabir Journal of Mechanical Engineering, Vol. In Press, Accepted Manuscript, Available Online 17 May 2017. Sheng, G. G. and Wang, X., “Thermal Vibration, Buckling and Dynamic Stability of Functionally Graded Cylindrical Shells Embedded in an Elastic Medium“ Journal of Reinforced Plastics and Composites, Vol. 27, No. 2, pp. 117–134, 2008. Bagherizadeh, E., Kiani, Y. and Eslami, M. R., “Mechanical Buckling of Functionally Graded Material Cylindrical Shells Surrounded by Pasternak Elastic Foundation“ Composite Structures, Vol. 93, pp. 3063–3071, 2011. Bagherizadeh, E., Kiani, Y. and Eslami, M. R., “Thermal Buckling of Functionally Graded Material Cylindrical Shells on Elastic Foundation“ AIAA Journal, Vol. 50, No. 2, pp. 500-503, 2012. Shen, H.-S., “Postbuckling of Shear Deformable Fgm Cylindrical Shells Surrounded by an Elastic Medium“ International Journal of Mechanical Sciences, Vol. 51, pp. 372–383, 2009. Shen, H.-S., Yang, J. and Kitipornchai, S., “Postbuckling of Internal Pressure Loaded Fgm Cylindrical Shells Surrounded by an Elastic Medium“ European Journal of Mechanics-A:Solids, Vol. 29, pp. 448–460, 2010. Shen, H. S., “Thermal Postbuckling of Shear Deformable Fgm Cylindrical Shells Surrounded by an Elastic Medium“ Journal of Engineering Mechanics, Vol. 139, No. 9, pp. 979-991, 2013. Arefi, M., Abbasi, A. and Vaziri Sereshk, M., “Two-Dimensional Thermoelastic Analysis of Fg Cylindrical Shell Resting on the Pasternak Foundation Subjected to Mechanical and Thermal Loads Based on Fsdt Formulation“ Journal of Thermal Stresses, Vol. 39, No. 5, pp. 554-570, 2016. Wang, S. and Dawe, D. J., “Buckling of Composite Shell Structures Using the Spline Finite Strip Method“ Composites: Part B, Vol. 30, pp. 351–364, 1999. Reddy, J. N., “Mechanics of Laminated Composite Plates and Shells: Theory and Analysis“ second ed., CRC Press, Boca Raton, FL, 2004. Javaheri, R. and Eslami, M. R., “Thermal Buckling of Functionally Graded Plates“ AIAA Journal, Vol. 40, pp. 162–169, 2002. Lim, C. W., Ma, Y. F., Kitipornchai, S., Wang, C. M. and Yuen, R. K. K., “Buckling of Vertical Cylindrical Shells under Combined End Pressure and Body Force“ Journal of Engineering Mechanics, Vol. 129, pp. 876-884, 2003. Eslami, M. R., Ziaii, A. R. and Ghorbanpour, A., “Thermoelastic Buckling of Thin Cylindrical Shells Based on Improved Stability Equations“ Journal of Thermal Stresses, Vol. 19, pp. 299–315, 1996.